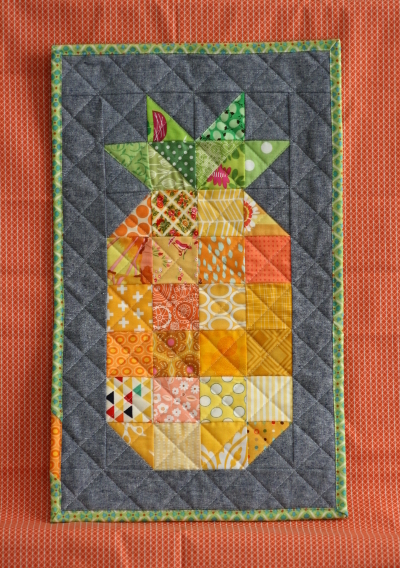 Meet my mini pineapple quilt! 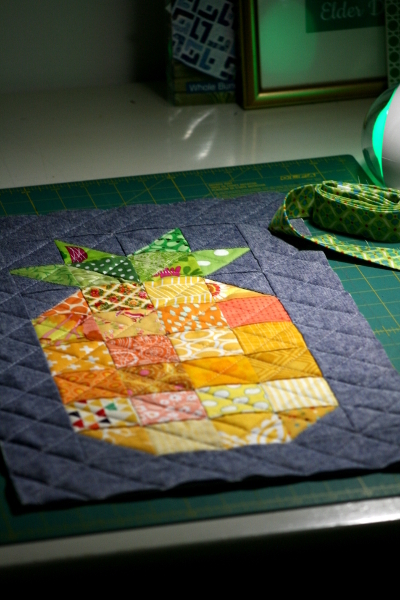 I had so many squares left over from making my pineapple quilt that I decided a mini was in order. The color combination really grew on me during these projects. 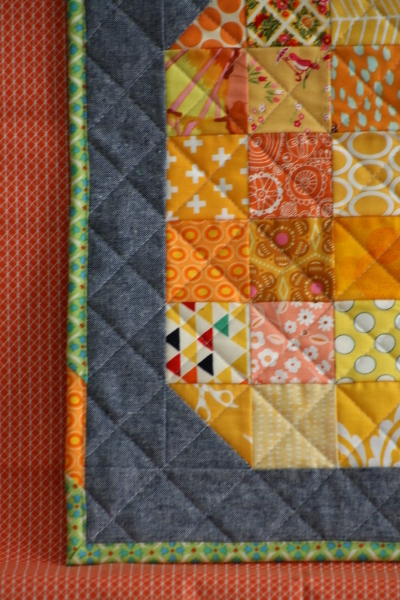 The orange/yellow with dark blue and green are so refreshing and cheery. 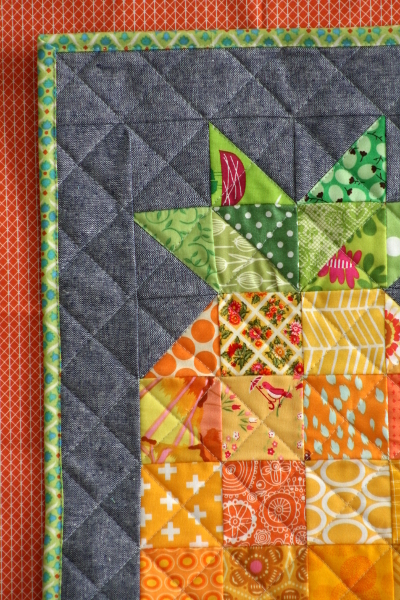 I quilted a small crosshatch pattern on the diagonal, and the texture of it is awesome. For the binding I used a Denyse Schmidt print from the Flea Market Fancy reprint, with a tiny strip of orange thrown in for fun. This was a fast finish. Sometimes it’s nice to have those, don’t you think? (Especially if you’re like me and you have a bunch of other projects you thought would be fast finishes that are still hanging around in one state or another.) It’s also fun to use those extra pieces at the end of a project. Now to work on some other finishes!